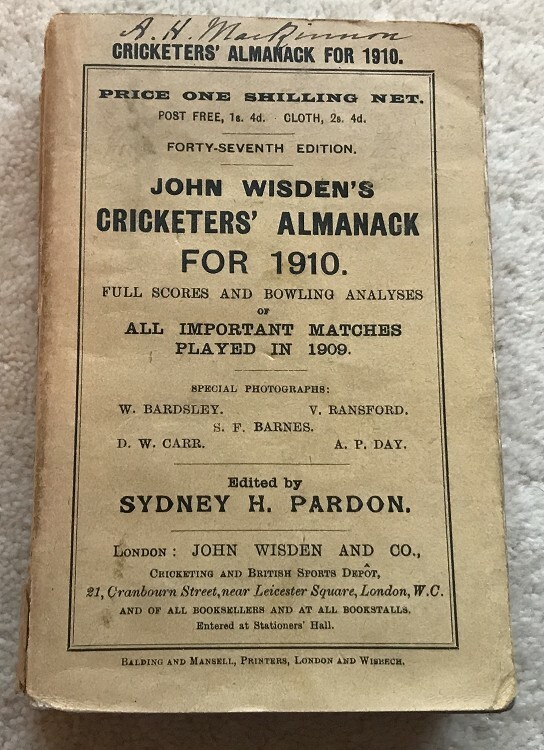 This lot is an Original 1910 Wisden Paperback. In Very Good Condition. This book has great, nearly complete spine paper (wear at the base to both sides) , no bowing to the spine with nice covers, a little dark in places and a name to the front cover, excellent photoplate, very square and tightly bound. Top Book.